The Broadcasters Foundation of America announces Katz Media Group has raised over $45,500 for the Foundation during its 10th annual company-wide membership drive, bringing the total amount raised to over $350,000 since the drive’s inception. Led by Mark Gray, Chief Executive Officer of Katz Media Group; Christine Travaglini, President of Katz Radio Group; and Leo MacCourtney, President of Katz Television Group — all money raised during the annual two-week campaign goes toward the Stu Olds Memorial Fund that commemorates Katz’s former CEO and supports the Foundation’s mission to provide financial support to radio and television professionals in acute need. Last year, the Broadcasters Foundation gave out a record amount of grants to broadcasters for necessities ranging from medical care to everyday essentials. This includes one-time emergency grants given to victims of natural disasters, such as hurricanes, earthquakes and wildfires. As longtime champions of the Broadcasters Foundation, Olds, Gray and MacCourtney all served on the Foundation’s Board of Directors. “It’s an honor to continue Stu’s legacy and give back to our incredible industry. As a board member, I have seen firsthand all the good the Foundation does. I’m incredibly proud and appreciative of the continued generosity of the Katz team to support the Foundation, and give to colleagues in need,” said Mark Gray, Chief Executive Officer for Katz Media Group. The Broadcasters Foundation has distributed millions of dollars in aid to broadcasters who have lost their livelihood through a catastrophic event, debilitating disease or unforeseen tragedy. Personal donations can be made to the Foundation’s Guardian Fund. Corporate contributions are accepted through the Angel Initiative, and bequests can be made through the Foundation’s Legacy Society. For more information, please visit www.broadcastersfoundation.org, call 212-373-8250, or email info@thebfoa.org. 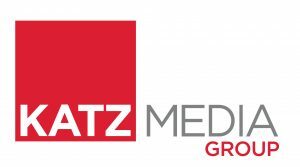 Katz Media Group is the leading media sales organization that provides advertisers with the power of local impact on a national scale. Katz seamlessly activates influential connections with over 200 million weekly consumers across the country through its two companies — Katz Radio Group and Katz Television Group — collectively representing more than 3,300 radio stations, 800 television stations, and their digital platforms. As a trusted sales partner, Katz is dedicated to using the latest technology, data and strategic insights to create custom campaigns that target advertisers’ needs and deliver results in every market across the country. Katz is based in New York City with a total of 14 regional offices nationwide.